The pizza-and-gaming emporium prides itself on affordability, which means its arcade games are really cheap to play. Does that lead to kids hogging the best games — and parents starting those infamous YouTube brawls? Below is a transcript of the episode, modified for your reading pleasure. For more information on the people and ideas in the episode, see the links at the bottom of this post. And you’ll find credits for the music in the episode noted at the end of the transcript. Stephen DUBNER: Hey Levitt, you ever go to Chuck E. Cheese with your kids or maybe on your own? Steve LEVITT: Well, you can’t go on your own. They won’t let you in if you don’t have kids. LEVITT: It is true. I’m happy to say I didn’t find that out the hard way. I didn’t actually show up at a Chuck E. Cheese without my kids, but I have heard that they will not let you in without children. DUBNER: So you’ve been with children? LEVITT: I haven’t been in a long time, but in the day I used to take my kids there. And you know me, I like the simple things in life, and that means I love places like Chuck E. Cheese. I just love arcade games. They’re fun. They’re a great mix of manual dexterity and little bit thinking. DUBNER: And have you ever become violent at a Chuck E. Cheese because someone else’s kid wouldn’t, you know, get off the Skee-Ball? LEVITT: I can proudly say I have never become violent at Chuck E. Cheese; never been tempted towards violence at Chuck E. Cheese. Chuck E. Cheese Commercial: Chuck E. Cheese’s. Where a kid can be a kid. 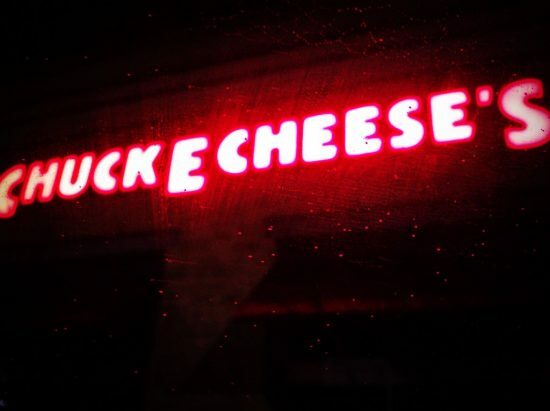 I was asking Levitt about the potential for violence at Chuck E. Cheese – which officially is Chuck E. Cheese’s, possessive, but most people shorten it to Chuck E. Cheese or Chuckee-Cheese – because that’s what a Freakonomics listener had asked us about. Nathan CORROY: Well, I’m not the type of guy to hit somebody and certainly not a child. But it led me to think it did seem plausible. LEVITT: Okay, so the one thing I want to get across is the idea about rivalry. CORROY: Do I personally feel okay with that? No. Nolan BUSHNELL: It’s an interesting theory. Michael HARTMAN: The first thing I’ll say is incidents at Chuck E. Cheese’s are very rare. Larry DEETJEN: What happened is they began pushing and shoving the police officer. We ask: what’s price got to do with it? CORROY: I mean, I think it certainly could be. LEVITT: Maybe I could dress up as a child, you could be the adult. And then we can see how many other parents, if I monopolize a game, end up attempting to beat you into a pulp. DUBNER: Levitt, I’ve often heard you say that the one thing that economists are reliably good at doing is setting the appropriate price of a good or service. Can you explain briefly in your economist-speak how you do that? LEVITT: So essentially the art of setting prices is simply figuring out what price to set so that you have the marginal cost of providing that good equal to the marginal revenue generated by the sale of that good. DUBNER: So the danger of setting a price too high if you’re selling would seem to be obvious, right? People don’t buy what you’re selling. But what’s the danger of setting a price too low? LEVITT: The danger of setting a price too low of course is that too many people want to consume the good. If it’s a kind of good where someone takes it and walks out of the store, then you’ll find that the shelves are empty. In the case where it’s not something we actually take out of the store but instead something you experience then what you end up having are long lines of people, all of whom want access to that same good but only a few of whom can actually consume the good. Kenneth WARNER: What we know is that if you increase the price by 10% you will decrease total cigarette consumption by 3 to 4%. But what about when prices fall? The price of food has generally fallen over the past few decades – which makes it easier for people to eat too much. When the price of gasoline drops, people tend to drive more, which leads to more congestion, pollution, and crashes. If you own a bar and you suddenly drop the price of all beverages from five dollars to five cents – how do you think that’s going to work out? So the relationship between price and behavior, especially bad behavior, can be pretty strong. And that’s what led one Freakonomics Radio listener to put two and two together and come up with a theory. CORROY: My name is Nathan Corroy and I’m a financial adviser in Milwaukee, Wisconsin. Corroy used to go to Chuck E. Cheese when he was a kid. His experiences were always very positive. CORROY: Oh yeah, very positive, yeah. Absolutely. CORROY: I’ve got two sons. One is about three-and-a-half and the other’s four months. So he thought about taking his older son to Chuck E. Cheese. But he was also a little wary. Because of something he’d seen on the news. CORROY: Certainly in the Milwaukee area for the past few years there’s been reports of violence always coming up in the news at Chuck E. Cheese locations. Now, we should point out: it’s the adults fighting, not the kids. We should also point out that the adults may have been drinking. Because most Chuck E. Cheese’s serve wine and beer. CORROY: Yeah, it strikes me as pretty odd. Now granted, we’re in Wisconsin, where we would drink beer at church if we could. Anyway, when Nathan Corroy decided to bring his young son to Chuck E. Cheese for the first time, he wanted to minimize the chance that he would encounter any violence. CORROY: We went right when it opened in the morning. So we were literally the only people in the whole place. They had a good time playing the arcade games. CORROY: And what I noticed after playing a couple of games with my son was that every machine in Chuck E. Cheese costs just one token. Even the games that lasted the longest, that seemed like they should have been more expensive. CORROY: And that really struck me as being kind of odd that there was no price variance between the games. Nolan BUSHNELL: You know, this was a subject to debate. That’s Nolan Bushnell, who founded Chuck E. Cheese 40 years ago in San Diego. The debate was whether to make some games more expensive than others. BUSHNELL: We felt that since most of most of our revenue really came from kids under eight, I felt that it would be confusing. And we tested a few things and we found that it really didn’t change the revenue that much. What you’re assuming is that we’d make more money if we charge more. It turns out that that isn’t the factor. Before Chuck E. Cheese, Bushnell co-founded the video-game company Atari. Chuck E. Cheese was a way to maximize his profits from popular games like Pong. Michael HARTMAN: So we were basically a Silicon Valley startup and we’re going to be celebrating our 40th anniversary in May of 2017. HARTMAN: And I’m the chief marketing officer at CEC Entertainment. CEC Entertainment being the parent company of Chuck E. Cheese; today CEC is owned by a private-equity firm called Apollo Global Management. It’s planning an IPO for Chuck E. Cheese later this year. DUBNER: And was Chuck E. Cheese one of the first what are now known as family-entertainment concept companies, where kids and parents come together to do stuff, have fun, play games and eat? HARTMAN: Absolutely, we were definitely one of the first family-entertainment concepts. If you look back in terms of what the competition and the landscape was in 1977, it was bowling alleys, dingy arcades, and movie theaters. And what Nolan wanted to do was to make video games more accessible to families and to younger children. Part of that accessibility is affordability. HARTMAN: Our guest is very price-conscious. We want to make sure that they can have an excellent experience for a family of four starting at about $30. CORROY: Every machine in Chuck E. Cheese costs just one token. CORROY: It was a Saturday. So as we were there it started to get more and more crowded and we didn’t have that free rein of being able to go and play any game we wanted to without waiting. And I was in line with my son, we were going to play one of the smaller basketball hoop shooting games. And there were two kids in front of us that were playing that game. And they were just feeding tokens and not giving up their turn. As I’m seeing them then feed tokens in the machine, I’m thinking, “Wow, it’s costing nothing to do that.” And that was kind of the a-ha moment of “this is the problem with the pricing model and this could be one of the unintended consequences. Nathan Corroy wondered if the fights he’d heard about were perhaps the unintended consequence of Chuck E. Cheese’s pricing structure: the games were so cheap to play that you could just camp out for hours at your favorite game and choke off access to everybody else. Which could lead to trouble. CORROY: Well, I’m not the type of guy to hit somebody and certainly not a child. But it did seem plausible that somebody might start talking to the kids and the kids maybe go get their parents and an altercation would start that way. Or certainly if it was among just adults, if you were there later on a Saturday and everybody’s drinking beer and you’re trying to play the basketball game and there’s a line of adults waiting. I asked Steve Levitt if he could imagine that the Chuck E. Cheese pricing scenario encouraged violence. LEVITT: Well, I absolutely could imagine it because when it comes to Chuck E. Cheese, and the product they deliver, they suffer from a very intense form of what economists call rivalry, meaning that exactly one person can play a particular game at a time. And when people all want the same thing there are lots of different dimensions on which they can compete for that thing. And certainly physical violence is one we see. I mean, I’ve studied drug dealing a lot, and indeed, when it comes to the pursuit of property rights in drug markets, violence is the strategy of choice. Now, I have to say I’m a little bit skeptical in thinking that when it comes to queues at the Chuck E. Cheese that violence is usually the likely weapon to which rival parents might turn. DUBNER: So you’re saying that Chuck E. Cheese customers are probably not as prone to resort to violence as crack dealers? LEVITT: Well, I think if the stakes were as high, they probably would resort to violence in the same way that crack dealers do. But when you have something inherently low-stakes like whether your kid can play game A or game B at Chuck E. Cheese, I would think that most parents, even most inebriated parents, wouldn’t come to blows. MICHAEL HARTMAN: Ninety percent of families with a kid 3 to 8 within 15 miles of a Chuck E. Cheese has come, and approximately half of those have come in the last year. HARTMAN: On average, a kid requests to come to Chuck E. Cheese’s 11 times a year, and the parents let them come about three times a year. HARTMAN: When you look at a Chuck E. Cheese consumer, we are definitely middle America. We are a $50,000 to $75,000 income, but we have more people below $50,000 into our stores than above $75,000. One more thing before the break: I’d like to give a quick shout-out to all the public-radio stations around the country who now play Freakonomics Radio . We realize your airtime is incredibly valuable, and we’re delighted you share it with us. So … thanks! It’s an interesting theory, is it not? That Chuck E. Cheese, the pizza-and-gaming emporium, prices its games so affordably that it’s easy to hog any one game for hours, potentially leading to arguments that could potentially lead to violence. That, at least, is what Nathan Corroy, a financial adviser in Milwaukee, was thinking. CORROY: There certainly is evidence of violence at Chuck E. Cheese and I was actually aware of that before we ever went with my son. CORROY: Certainly in the Milwaukee area there’s been reports of violence always coming up at Chuck E. Cheese locations. There are three Chuck E. Cheeses in the Milwaukee area. About a decade ago, after pressure from city officials, they all stopped serving alcohol to cut down on violence. Even so, the disturbances continued. Which led Corroy to think that maybe the pricing strategy, even more than the alcohol, was the culprit. Sometimes, the violence can really get out of hand. Consider the Chuck E. Cheese in Oak Lawn, Illinois, just outside of Chicago. Larry DEETJEN: I personally with my children and family have never experienced what I’ve seen has occurred here in Oak Lawn. That’s Larry Deetjen, the village manager of Oak Lawn. Over the past five years, the police responded to more than 300 calls at the local Chuck E. Cheese, and made dozens of arrests. In one case, there was a shooting in the parking lot. In another, an Oak Lawn cop got dragged into a fight. DEETJEN: Our officer observed a fight in progress, identified himself as a police officer and gave them the command to stop the fight. Instead, what happened is they began pushing and shoving the police officer, resulting in a call for an officer in trouble. Deetjen says he spoke with Chuck E. Cheese executives and that the president of its parent company, CEC Entertainment, even flew out to attend an Oak Lawn village board meeting to come up with solutions. DEETJEN: There was a series of progressive, proactive steps taken. The company paid to have two off-duty police officers at the Oak Lawn Chuck E. Cheese on weekends. And they tried some other things. DEETJEN: They re-positioned the games, actually removed some of the games to provide less crowding conditions. We were going to revoke their liquor license, and they voluntarily decided to forego their liquor license. So was that the end of the trouble? DEETJEN: Well unfortunately, the disturbances did not end. After another shooting late last year – this one involved a family that had just driven away from the Oak Lawn Chuck E. Cheese – CEC Entertainment announced that it would close that location. So if you pay attention to these reports of violence at Chuck E. Cheese – as Nathan Corroy did – you might get the impression that violence at Chuck E. Cheese is a common thing. But is it really? HARTMAN: The first thing I’ll say is incidents at Chuck E. Cheese’s are very rare. Michael Hartman again, the chief marketing officer for CEC Entertainment. HARTMAN: We believe that it makes for a greater sound bite to talk about an incident at Chuck E. Cheese’s versus anywhere else just because of what our name connotes to folks. But if you think about ball fields and anywhere else where parents and kids are, you’ll hear a lot of talk about those kinds of things as opposed to anywhere else. That makes sense, doesn’t it? A fight at a family-entertainment place is just incongruous enough that when it does happen, it’s more likely to show up on the news or in your Facebook feed than a fight in a ballpark, or in a bar. On the other hand, Nathan Corroy’s theory – that Chuck E. Cheese’s pricing strategy could be a contributing factor to the fights that do happen – well, even Chuck E. Cheese founder Nolan Bushnell wouldn’t rule it out. BUSHNELL: It’s an interesting theory. I think it’s something that should be tested because – is in fact the hogging of a game causal? Many of the games are two minutes and so if somebody has got 10 tokens, it’s 25 minutes. That’s probably too long and that could be a problem. But I didn’t necessarily get that as the causal nature of fights. Okay, so how should the theory be tested? LEVITT: You could try to run some experiments. LEVITT: You know, you and I, Dubner, could go down and figure out what the most popular games are. And maybe I could dress up as a child, you could be the adult, and then we can see how many other parents, if I monopolize a game, end up attempting to beat you into a pulp. DUBNER: I appreciate your making me the one that gets beaten. But on the other hand I think the likelihood of me being beaten is low enough to enjoy the novelty of seeing you dressed up as a child, whatever that means. So I’m okay with that experiment. Christopher WERTH: If Nathan Corroy’s theory is true — that prices may contribute to some of the violence at Chuck E. Cheese — then theoretically we should see less violence at similar entertainment chains that do charge more for more advanced games. For example, Corroy suggested Dave & Buster’s, a chain that is more oriented for adults than kids, but does serve food and beer and wine. And it has a big arcade area, where the games do not all cost the same. CORROY: Each of the games has a different price that it costs to play. So from what I could tell anyways, seems to control the demand for the games because you’re not going to just keep playing the best games over and over again because you’d go broke. WERTH: I went to Dave & Buster’s just to check it out. WERTH: They’ve got Jurassic Park. They’ve got Kung Fu Panda. They’ve got Ghostbusters. WERTH: Instead of tokens, customers purchase electronic payment cards. Those are then loaded up with “chips” that are used to play games. Nolan Bushnell, the founder of Chuck E. Cheese, has paid close attention to this industry. He advised Apollo on its purchase of Chuck E. Cheese. And he says Dave & Buster’s payment cards allow the company to observe player behavior and make small, incremental changes to game prices. Some games cost 2.6 chips, for example, or about 50 cents. Some games cost 13.6 chips, close to $3. BUSHNELL: Dave and Buster’s. They implement variable pricing extremely scientifically. I have a lot of respect for their analytical ability. WERTH: What we decided to do is collect police data on the number of violent incidents at Chuck E. Cheeses, and then compare them with Dave & Buster’s. And we should say from the start, the method we’re using here is highly imperfect. For one, we’re not controlling for neighborhood characteristics or anything else. This is just raw data – and spotty data, at that. We focused on three large metropolitan areas: Chicago, Phoenix and Dallas/Fort Worth. WERTH: Let’s start with the Chicago area. There we looked at the 13 Chuck E. Cheeses and 4 Dave & Buster’s located within the broad boundary that we drew around the city. We asked for five years’ worth of data on what are known as “calls for service.” Which are these long lists that catalogue each time a call came in, whether it’s a fight or a false burglar alarm. We tallied up all the assaults, disturbances, battery charges etc. And what we found is — as a monthly average — there are slightly more violent incidents at Dave & Buster’s than at Chuck E. Cheese. The data showed one incident occurred at a Dave & Buster’s roughly every two months versus one incident every three months at a Chuck E. Cheese. And we found similar results in Dallas/Fort Worth. On average, the rate of violent altercations and similar types of incidents was higher at Dave & Buster’s. In Phoenix, they were roughly the same. But that doesn’t necessarily mean Nathan Corroy’s theory is wrong. As Nolan Bushnell points out — and as we freely admit — this evidence is far from definitive. BUSHNELL: I think that you’re almost comparing cheese and chalk. WERTH: Not only does Dave & Buster’s clientele tend to be older. It stays open later. And while some Chuck E. Cheeses serve beer and wine, Dave & Buster’s has a full bar. BUSHNELL: The amount of alcohol all by itself changes things tremendously. WERTH: We wanted to find a company that’s a closer match to Chuck E. Cheese. And that’s when we discovered another pizza chain for kids called Peter Piper Pizza. WERTH: Peter Piper Pizza was founded in Phoenix. 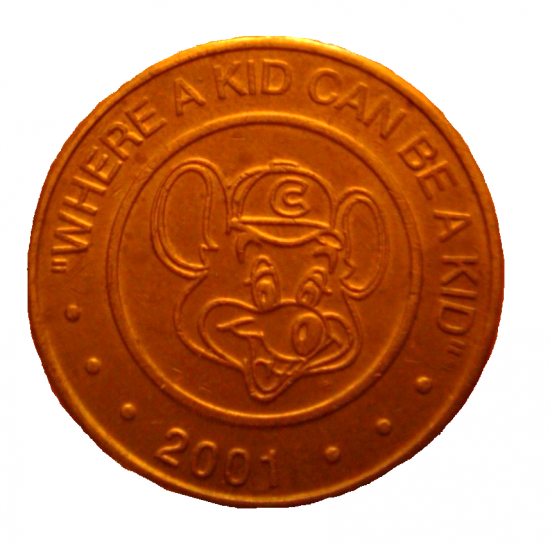 And like Chuck E. Cheese, tokens there cost just 20 cents each if you have a coupon. But unlike Chuck E. Cheese, it prices its games from one to four tokens according to how advanced the games are. Plus, Chuck E. Cheese’s parent company, CEC Entertainment, acquired the chain in 2014. BUSHNELL: The demographic is almost identical with the exception that Peter Piper Pizza tends to skew a little bit lower demographically in terms of income. WERTH: We collected ten years’ worth of police data. In the Phoenix area, we looked at 11 Peter Piper Pizzas and 5 Chuck E. Cheeses. But again, the numbers just did not support Nathan Corroy’s theory. The rate of violent incidents at Peter Piper Pizza was about 64 percent higher than it was at Chuck E. Cheese. But then, compare that with Dallas/Fort Worth, where we pretty much found the opposite. There we looked at 16 Chuck E. Cheeses, four Peter Piper Pizzas. And as a monthly average, the rate of disturbances and violent incidents was 70 percent higher at Chuck E. Cheese than at Peter Piper Pizza. Although, we should say, we’re talking about fairly low rates of violence overall. In the Dallas/Fort Worth area, Chuck E. Cheese averages a little more than one incident every four months. And 22 percent of those were cataloged in the police data as domestic disputes, which is something we heard from a number of the police departments we contacted. ROBERT MARTIN: A lot of times, when there’s a large family gatherings at a Chuck E. Cheese, it’s for a birthday or a celebration or something. WERTH: That is Chief Robert Martin of the Susquehanna Township Police Department in Harrisburg, Pennsylvania. The Chuck E. Cheese there had its share of fights, although he says things have quieted down as of late. But what you had are situations where the parents might be divorced. Maybe a new boyfriend or girlfriend shows up. MARTIN: And all of a sudden, some tensions arise that are already present before the celebration within the family dynamic, and it escalates to the point where we were called. WERTH: So after filing all those records requests, the data that we have just don’t suggest that prices have anything to do with the violence at Chuck E. Cheese. In fact, what they show is that, even though the fight videos are shocking and dramatic, the rates of violence at most Chuck E. Cheese is actually fairly low. That was Christopher Werth. Admittedly, the data were spotty; the analysis more impressionistic than empirical. That said, there was no compelling evidence for the Chuck E. Cheese Theory of Customer Violence Caused by Low Game Prices. 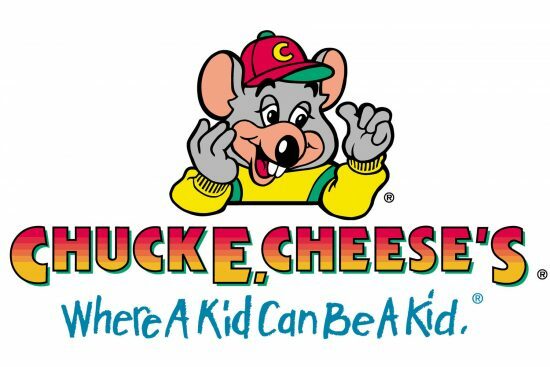 A more rigorous way to address the question would be simply to ask Chuck E. Cheese to help us with a big randomized controlled trial. For instance: what if they randomly divided their 500-plus locations, varied the prices in some and left the others low, and then measured how that affects customers’ behavior, including fights? That’s not going to happen – but, as it turns out, there are some related changes already underway at Chuck E. Cheese. Mahesh SADARANGANI: In late 2014 we started testing an RFID card program to see how our guests and our consumers would like moving over to the card system. SADARANGANI: I’m the senior vice president of strategic initiatives at CEC Entertainment. SADARANGANI: And the switch over to cards was much smoother than we anticipated. And we’re happy to say that as of the end of 2016 we’ve completed roughly 268 of our stores on the play pass card reader system and we look forward to completing the entire network of our 512 U.S. stores by the end of 2017. An RFID card allows for a lot of options that old-fashioned metal tokens don’t. Chuck E. Cheese will have better data on what its customers like and don’t like. And it gives pricing flexibility too. While most games and activities at Chuck E. Cheese have historically cost just one token, some longer or more involved games cost two tokens. SADARANGANI: When you take a game from one token to two tokens that’s a pretty large price increase, 100 percent. And if you if you take it to three points it’s a 200 percent price increase, right? The new card system allows for more incremental increases. SADARANGANI: We’ll actually start to test these where we can move to a multi-point strategy and instead of a game being one point or a game being two points or three points, a game can be 1.2 points. A card system also allows for dynamic pricing, like airlines and hotels do: raising the price during peak demand, or offering discounts at other times. All of which could help alleviate the potential for disagreements among Chuck E. Cheese customers – if, indeed, there are many disagreements among Chuck E. Cheese customers. Which, as we heard earlier from Christopher Werth, it doesn’t seem as if there are that many. We shared the police data with Steve Levitt, asked him what he made of it, especially the data from Chicago, where he lives. DUBNER: Now, Levitt, you’ve looked at the data. Does roughly one police call every three months to the Chuck E. Cheese universe of Chicago strike you as noteworthy? DUBNER: Hard to blame Chuck E. Cheese for that? LEVITT: Yeah, the parents aren’t fighting over the over the games. They’re fighting over the kids. So I don’t know, it doesn’t seem that bad to me. One thing did stand out in the data we sent over to Levitt. It wasn’t a Chuck E. Cheese location. It was one Dave & Buster’s location that got way more police calls than any other place in the Chicago data. DUBNER: Is that really the one where you go? LEVITT: Yeah, that’s the one I go to all the time. DUBNER: You go there for the violence, or it’s just coincidence? LEVITT: Maybe I’m part of the violence. So far I have escaped official statistics, but the Dave & Buster’s to which I go with my kids now turns out to be roughly about four to five times as likely to elicit a police call as a Chuck E. Cheese. And I think that makes sense because it’s not inhabited by five-to-nine-year-olds. It’s inhabited by a bunch of 15-to-24-year-olds. And as we all know if you want to get the police involved, 15-to-24-year-olds are that age group you want to interact with. DAVIDAI: It’s just amazing how many positive correlates there are to gratitude . Tom GILOVICH: It’s so easy for people to feel resentful, to feel that life has made things harder for them than it has for other people. Why the headwinds of life feel so much stronger than the tailwinds — and what to do about it. That’s next time on Freakonomics Radio . Freakonomics Radio is produced by WNYC Studios and Dubner Productions. This episode was produced by Christopher Werth. Our staff also includes Shelley Lewis, Greg Rosalsky, Stephanie Tam, Merritt Jacob , Eliza Lambert, Alison Hockenberry , Emma Morgenstern , Harry Huggins , and Brian Gutierrez . This week we had help from Matt Fidler. Thanks to Captain Scott Haynes of the Lewisville Police Department in Lewisville, Texas, for providing insights that helped advance our reporting. Thanks also to all the police departments that responded to our records requests. You can subscribe to Freakonomics Radio on iTunes , Stitcher, or wherever you get your podcasts. Nolan Bushnell, founder of Chuck E. Cheese and Atari. The Story of Chuck E. Cheese (CEC Entertainment 2014).